Leash Free Living has a small, intimate, training based Day Care in Annapolis. 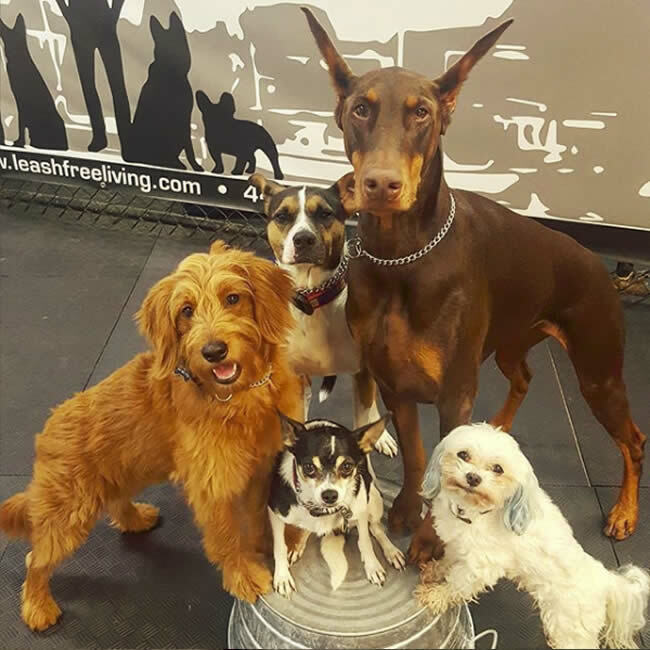 Dogs play in a supervised group from 7:00 am – 7:00 pm. Training and manners are reinforced throughout the day while we encourage appropriate levels of play, practice fitness exercises, and engage them in group training activities. Loose leash manners and heeling are practiced throughout the day when dogs are walked to our potty area. 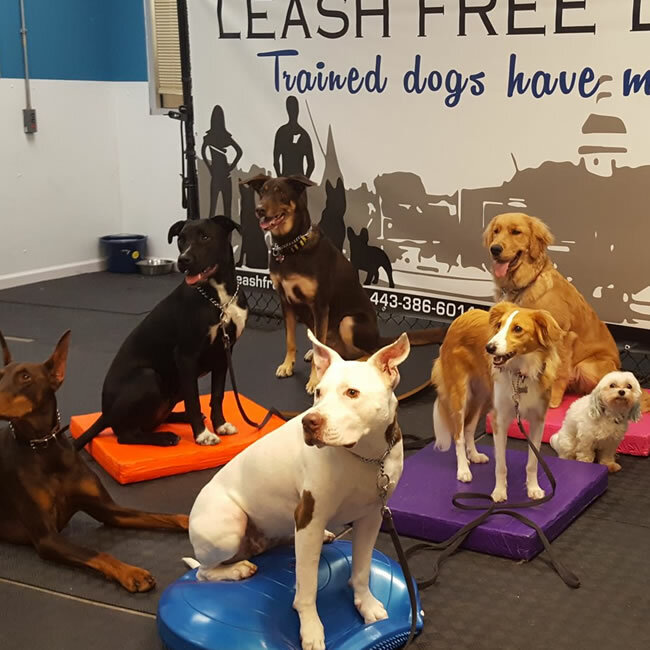 Individual training sessions can be added on for your dog while they are at day care, if you would like to work on specific homework, learning new skills, or problem areas. Reservations are required. You can request a reservation using the link above. If you need some help figuring out the reservation software, we have a step by step list of instructions HERE. Let your dog spend the day with us playing and learning an indoor group environment with other like minded dogs. 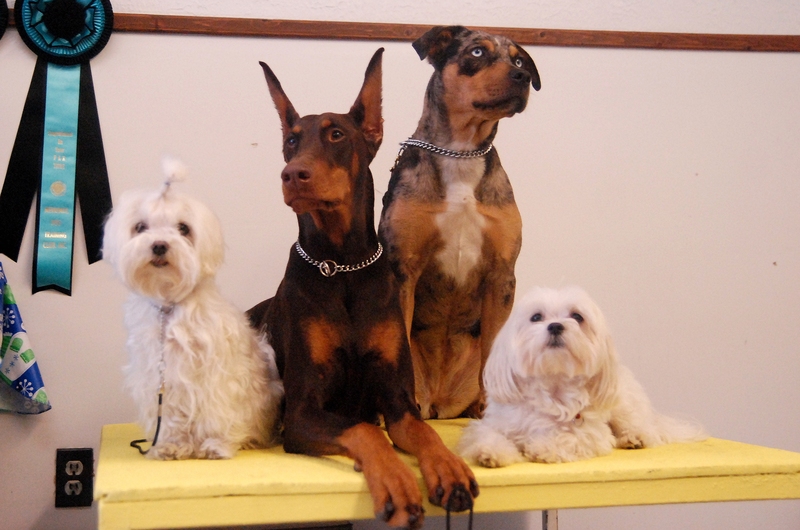 Dogs will work in and around the other day care dogs, and will train as a group. Group stays, place, tricks, recalls, etc. Dogs may take a stroll on the treadmill, balance on balance discs, etc. Group play sessions with other day care dogs, indoors. Check out our blog post about Structured Play at Day Training. Individual training sessions can be added on to your dog’s Day Training day for $20 to work on specific skills. Day Care and Boarding costs are additional, paid to Cozy Canine Camp.